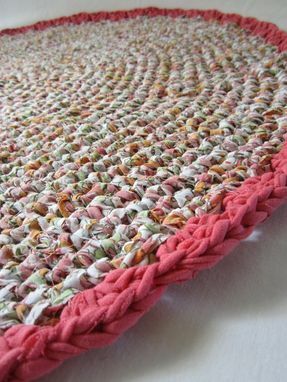 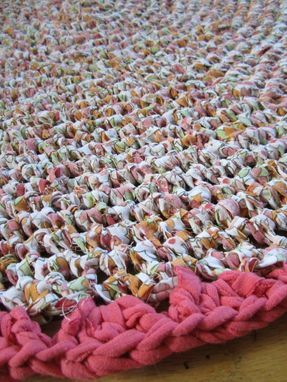 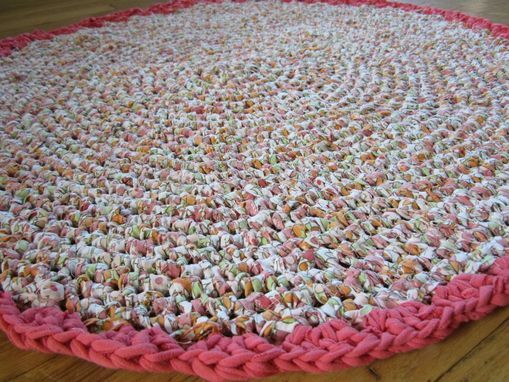 Crocheted rag rug made from upcycled materials such as linens and t-shirts. 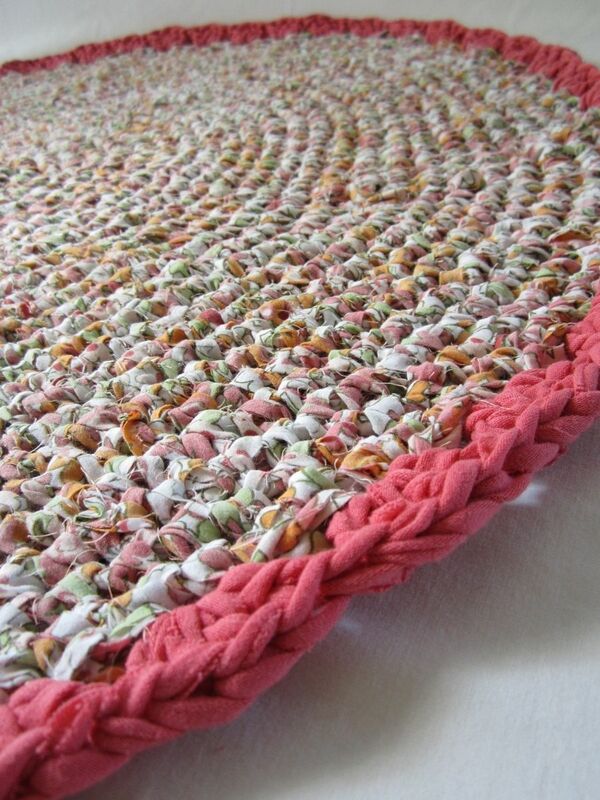 You can choose materials, colors and size! 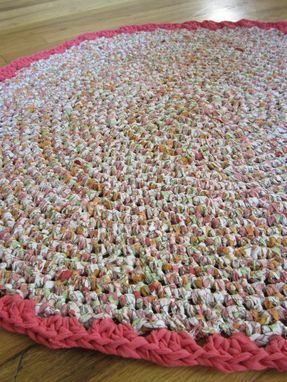 Can be round, oval or rectangle.